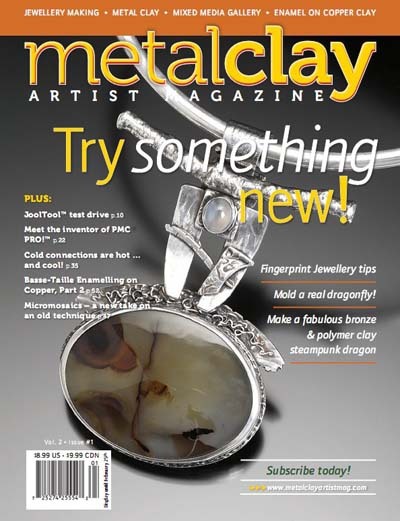 The instructors, trainers and schools on this page offer silver metal clay training at all levels all over the world. Some will travel outside their home area, see the listings for details. You will also find worldwide PMC and Art Clay Certification training providers on this page. All links open in a new window. 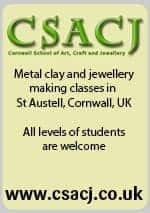 One day and short courses in a range of metal clay and traditional goldsmithing techniques for beginners, intermediate and advanced, also for visitors to the islands. 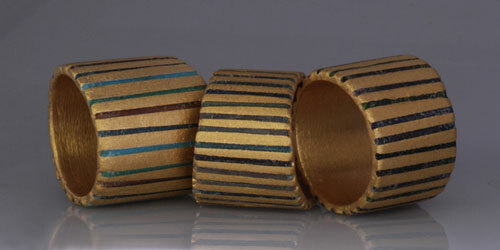 Art Clay Certification all Levels, Instructor Certification, New Mokume Gane Certification. Working in Art Clay Silver, bronze clay and copper clay. Stone setting and stone drilling techniques. Adding colour to silver with glass fusing, glass beading and enamelling classes. CAD/ CAM prototypes in 3D Printing jewellery in wax, for lost wax investment casting. Private tuition by appointment. Open Workshops and courses advertised on facebook: ArtClayTrinidadTobago. Classes in English and German. Beginners and advanced art clay classes. Silver metal clay classes at all levels. Also teaches the Art Clay Diploma. Beginners silver metal clay classes. Art Clay classes at all levels. Introductory Art Clay classes and Certification classes running in Mumbai, India. Silver work and PMC classes for beginners. Art Clay beginners and advanced courses, hen parties, childrens classes etc. PMC classes at all levels. They also run metal work and jewellery making classes. Art Clay beginners, advanced and Level 1 and 2 Certification classes. Hacienda Mosaico is an expansive, tropical and artful retreat in the beautiful beach resort of Puerto Vallarta, Mexico. Silver clay classes and workshops for all levels. Beginners and Intermediate Art Clay classes and one to one classes. Traditional and metal clay training classes, diplomas and certifications. Jocelyne runs private Art Clay classes on request from her home studio in Terrebonne, five minutes from Montreal, Quebec, Canada. She also teaches in French in some boutiques. 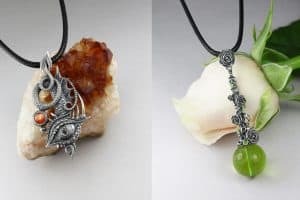 She offers Introductory Classes for Beginners , Advanced courses and workshops, Level One Certification and Senior Level Certification and Crossover Certification, bronze clay workshop and copper clay. Art clay tasters, beginners and more advanced classes, bronze clay classes and copper clay classes. Online classes, some free, from a group of French artists. Covers metal clay, polymer clay and wirework. A range of precious metal clay, PMC classes from beginner to advanced. Silver metal clay classes at all levels, including Certification courses. Silver, bronze and copper metal clay classes at all levels. Art Clay Level 1 and 2 certification. Metal clay, polymer clay and textile workshops. Classes run by Ingrid Wild include PMC, Copprclay™ and Bronzclay™ . German language site which can also be viewed in English. Intermediate precious metal clay, PMC classes. Official distributor of PMC for China. Also provide stones, tools, kilns and findings. They run beginner and advanced workshops and certification classes. PMC Studio France specialise in learning holidays offering a variety of courses ranging from three days to two weeks. For example the three days may involve learning how to make fingerprint jewellery and personalised jewellery with time left to enjoy the pool as well as a glass of French wine or two! Those coming on a weeks holiday may wish to complete an introductory course and one of the certification modules of their choice. Other choices include working with bronze and copper. These are fully catered holidays with plenty of French cuisine and indulgence if you so wish. Partners are also welcome for a moderate supplement and are free to see the sites whilst you learn. 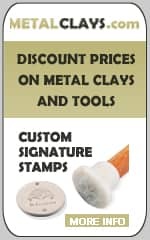 These holidays are suitable for all levels from those looking at learning a new skill to those serious about metal clay becoming their business. They also offer Art Clay Level 1 and 2 Certification classes. Workshops and retreats for working with bronze clay and FYI silver clay. 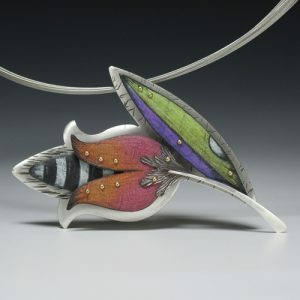 Wide range of classes including PMC Certification, Faux Bone™ and mixed media. Beginners and Art Clay Certification classes. Classes are taught in English and French. Einen Schmuckanhänger aus purem Silber zu Hause gestalten. Einsteigerkurs Art Clay© Silver am Beispiel eines Blütenanhängers. Introduction to silver metal clay, PMC and Art Clay classes. Kiln firing services and open workshops. Metal clay and glass fusing and bead making classes.